The Wheeler’s Monday Night Documentary Series kicks off this evening. The cast consists of 19 students from seven schools throughout the Roaring Fork Valley. They have been rehearsing for two months to bring the adaptation of the Tim Burton hit to the stage. A valley local is taking the helm of Carbondale’s 5Point Adventure Film Festival. Meaghan Lynch was named executive director of the non profit on Monday. The Center’s floors were ruined when the building near Interstate 70 flooded this summer. Construction is finally complete on the flood-damaged floors. Tomorrow afternoon, the organization will officially reopen its space. The $11,000 repair was included in the first stage of upgrades to the building. Dance instruction was hindered due to the damage. Dancing is one of the largest parts of the art group’s programming. Those classes were being held in the Masonic Lodge in Glenwood springs. All week, Pitkin County Sheriff Joe DiSalvo has been practicing his moves for his debut dance performance on Friday at Aspen Santa Fe Ballet’s premiere fundraiser, Dancing with the Stars. Community members dance with ballet company members in competition against one another. A winner is selected in an audience vote. On this week’s Mountain Edition, hosts Alycin Bektesh and Barbara Platts present a compilation of the week’s news. Northstar Nature Reserve may no longer be the party spot of past year.... . This week on Audio Canvas we meet with Sue Hostetler, vice chair of the board at Anderson Ranch Arts Center and chair of the featured artists lecture series. Find out all that the ranch has to offer this summer. If you compare the great chefs of 30 years ago to today, what is the difference? For one, there are the tattoos. In addition to that, the competitive nature of the culinary world is even more transparent today than ever before. Nowadays, chefs have to be more than just their food. They have to be personalities as well. “A person could be a very skillful chef, but if they don’t have the personality … they’re not going to be a very good cooking show host at all,” said Kathleen Collins. She wrote a book called “Watching What We Eat: The Evolution of Television Cooking Shows”. Andy Munoz’s larger-than-life snow sculptures in the Elk Camp Meadows have become synonymous with the family-friend Ullr nights held each Friday in Snowmass Village. The Red Brick Center for the Arts is home to nine non-profit organizations (including Aspen Public Radio), fine art and rehearsal studios, public conferences spaces, resident artist studios, and a gallery space. Board Member Emeritus, Bob Camp, explains the history of the organization and how it came to acquire the Red Brick building, which was previously occupied by the Aspen School District. 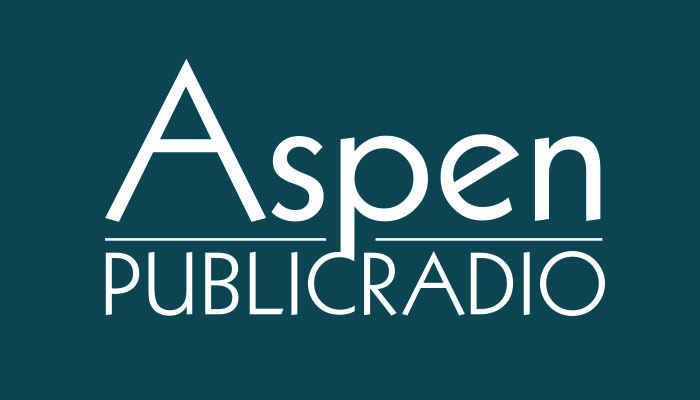 To learn more about the history of the Red Brick Center for the Arts and their programs, visit www.AspenArt.org. The Anderson Ranch Arts center opens a sale of prints from its catalogue on Friday. Genna Moe is the new executive director of the Wyly. Or Art Base. Whichever you want to call it, because the group is slowly rolling out their name change. No new logo yet. No changes to signage on the building. No new website. Yet. But one thing that isn’t changing is what Genna says is their ability to represent the whole valley. Anderson Ranch Arts Center is switching out its exhibits today to open a new show. Positive returns early for "Beauty and the Beast"
People flocked to the Aspen District Theatre this weekend to see the opening performances of Aspen Community Theater’s rendition of Beauty and the Beast. Jeremy Reger is the senior instructor of vocal coaching at the University of Colorado. His Eklund Opera Singers will be performing in Aspen at Harris Concert Hall and Christ Episcopal Church later this week. He spoke about performing new and old works, as well as bringing the show to different locations. The group performs at Harris Concert Hall on Thursday at 7 p.m., and Friday at 7 at Christ Episcopal Church. Dia de los muertos is being celebrated in Carbondale tonight as part of a partnership between local groups. The Valley Settlement Project, Carbondale Council on Arts and Humanities and the Thunder River Theatre Company are coming together again to celebrate Dia de los Muertos at the Launchpad and Third Street Center in Carbondale. Halloween brings the spookiness out in people...those who are among the living, anyway. But there does exist a local who brings to life some of the more spine-tingling stories of the dead, and his name is Dean Weiler.